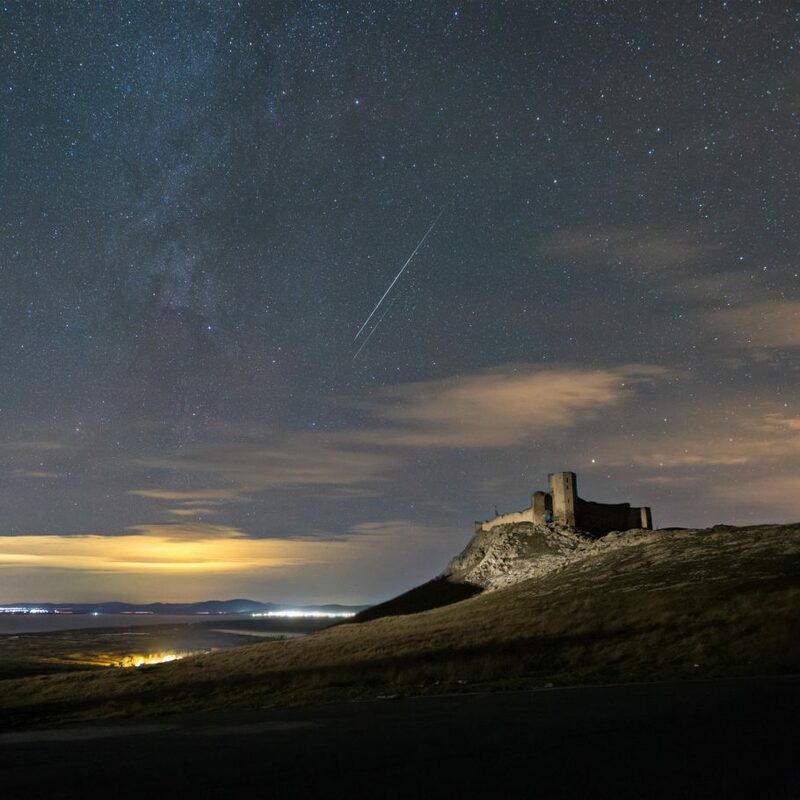 Two meteors were captured in a single exposure, above the Genovese fortress at Enisala, Dobrogea, Romania. They belong to the Geminid meteor shower. Taken in 2017.